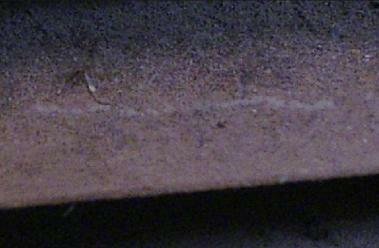 Video of arc-mode formation in material caked on the surface. (right image)I used a larger probe for discharges to the same area as seen in the left image. 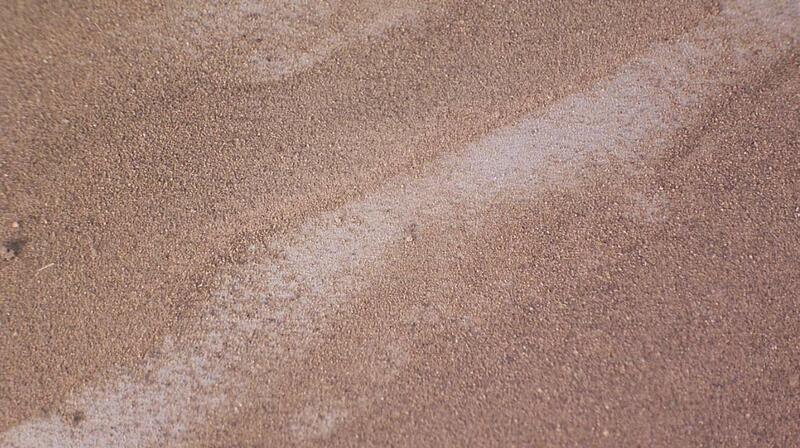 You can see the contrasting size difference if you look closely for the small crater chain in the right image. (Left Image)Some marginal crater chains can be seen in the thinly covered area. 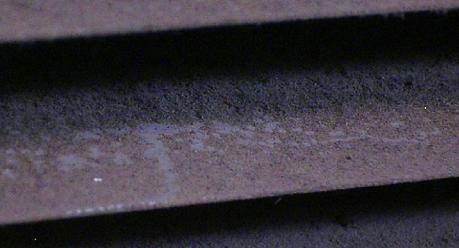 Where the material was thicker, skipping of the arc occurred. The thin area is the remnant of electro-mass-lifting and subsequent tendril-scarring of the remaining surface through the usage of a much larger probe(right image),, than that which caused the skip-craters, and the chain in the next image. was made with a different flyback setup which produced invisible filaments which reached out and cause this crater chain.